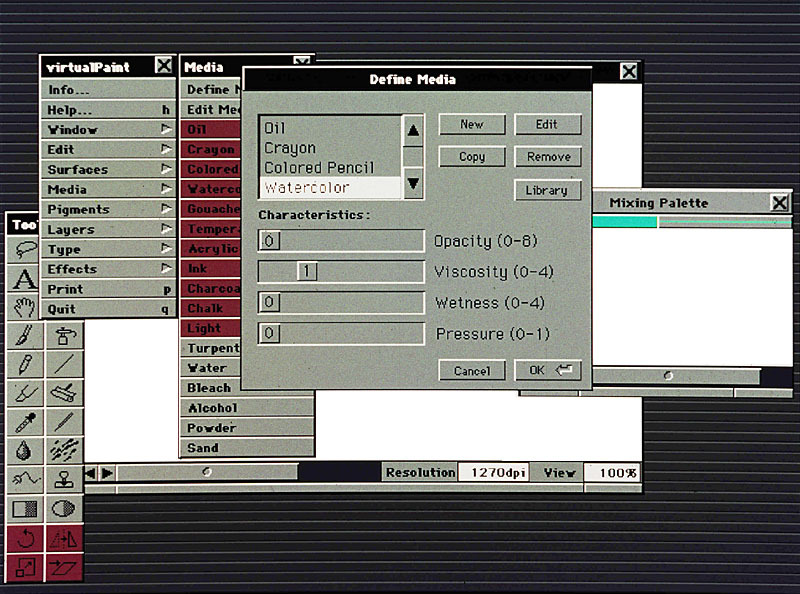 This was a prototype for a new kind of painting software that would mimick natural painting media in a sophisticated way. 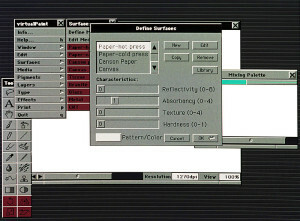 It would use specially designed input devices that created more natural paint data and was more comfortable to use. 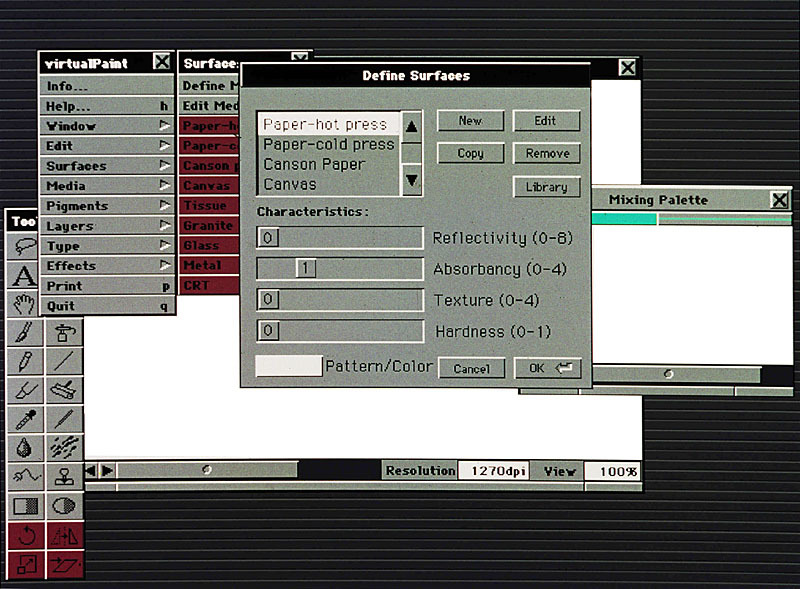 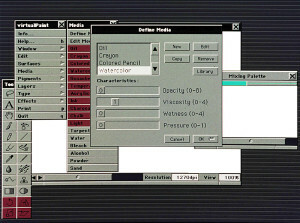 VirtualPaint had controls for setting minute paper, media, and surface characteristics. 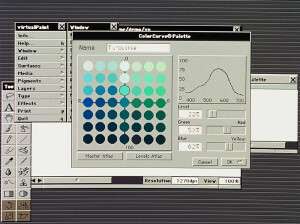 Much of Fractal Design Painter 4.0 now does was designed into VirtualPaint.